Skype is a telecommunications app and instant messaging software that facilitates free internet calls and low-cost calls to landlines and mobiles. 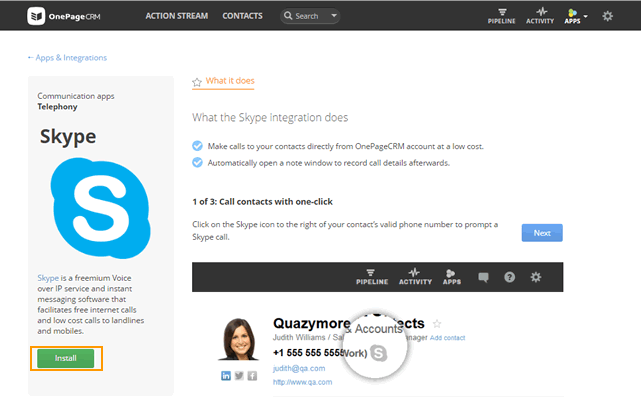 By enabling Skype, you can make calls to your contacts directly from your OnePageCRM account. Go to Apps → All Integrations. 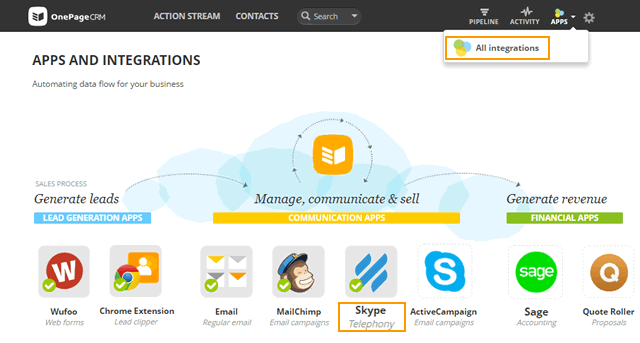 Click on the Skype icon under the Communication Apps category. 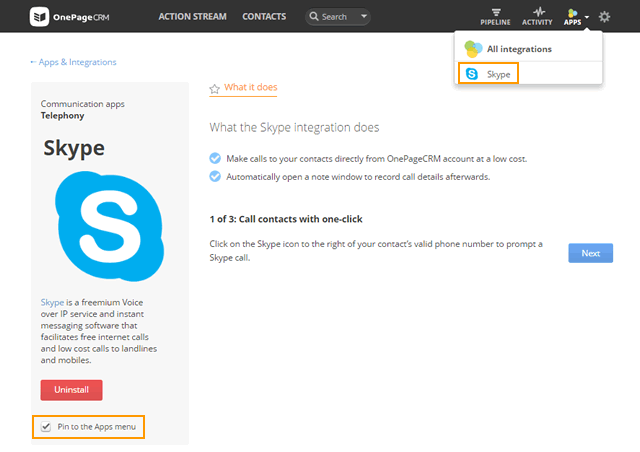 On the Skype page, click on the Install button to enable this integration. Open a contact and click on the Skype icon. 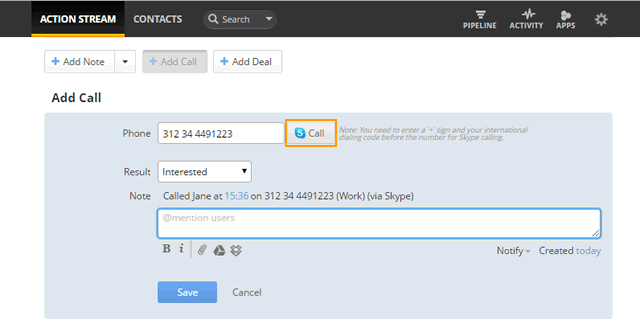 In Add Call, click on the Call button with Skype icon beside a selected phone number to be called. You'll be redirected to Skype to make a call. After the call is finished enter your call note in the Add Call text area . Press Save to record note. To pin the Skype integration to the Apps menu, select the check-box: Pin to the Apps menu. 123 123 1234 (US) or +44 20 12345678 (UK). If the contact has a Skype ID - e.g. Jill2010, you can use the click to call function.